As a Vista resident, you know a coastal breeze can quickly offset California’s warmer weather. So keeping your home comfortable requires the operation of both an air conditioner and a heater. Mauzy Heating, Air & Solar’s team members are California residents just like you. This means we understand your home comfort needs on a personal level, which has allowed us to tailor our HVAC services for guaranteed comfort—no matter what Mother Nature throws your way. From dependable system installations to swift repairs, Mauzy’s team is fully equipped to handle all of your air conditioning and heating needs. So it’s time for you to experience the Mauzy difference. Achieving total home comfort starts with finding the right heater and air conditioner for your home. This is a unit that has the sufficient heating or cooling power your home needs to keep a consistent level of comfort from room to room. Keep in mind that the size of your system will largely impact its performance. A system that is too small for your home will overwork in an attempt to meet your comfort demands, while a system too large for your home will continuously fail to complete the full cycle it needs to retain its wellbeing. This leaves a lasting impact on your system’s health and your budget by reducing your system’s lifespan and racking up costly energy bills. To avoid choosing the wrong system for your home or improper system installations, turn to Vista’s HVAC company of choice—and that’s Mauzy. Our certified technicians have the industry expertise and years of hands-on experience needed to help you find the perfect system for your home. 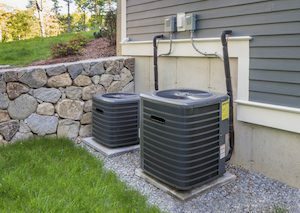 So from an air conditioner installation to a heater replacement, Vista, CA, residents can count on Mauzy’s team to get the job done correctly—the first time around. Even the most durable system is not indestructible. This means, from a heater repair to an air conditioning repair in Vista, CA, there’s a high chance your system will eventually need to be repaired. However, the key is to catch a problem quickly. You see, the longer you ignore your air conditioner’s or heater’s true wellbeing, the more likely a small hiccup will escalate into a costly misfortune. If you find yourself in need of a system repair in Vista, CA, don’t worry. From a basic service call to more complex repairs, Mauzy’s team is here to keep your cool through our warm and friendly HVAC services. Our certified technicians are fully equipped and qualified to repair your unit’s performance swiftly while remaining within your budget’s parameters. So when your system needs a repair, don’t delay. Call for our help right away! Whether you are operating a new unit or an aging one, keeping your system’s wellbeing in check is important. To do this, you must schedule seasonal system maintenance and frequent unit checkups. This sets your system up for operation success by lowering the chance of repairs, increasing your system’s energy-efficiency and extending the lifespan of your unit. There’s no team of HVAC contractors more dedicated than Mauzy’s team to keeping you comfy and your unit running effectively. So let us give your system the thorough TLC it needs to save you big in the long run. Feel the Sun. Feel the Savings. At Mauzy, our team strives to find new and innovative ways to secure longer lasting home comfort at a more budget-friendly price. And what we found is this: solar energy systems and residential solar panel installations can help you save some serious cash. This groundbreaking energy system transfers your home’s power reliance from the electrical company to the more environmentally friendly choice: the sun. Though going green is an investment and a complete lifestyle change, it saves California homeowners money immediately—and continues to do so for the long haul. So if you would like to see whether solar energy is right for you, feel free to contact our solar contractors today! At Mauzy, providing great service at a fair price isn’t just our company’s promise—it’s our guarantee. So with our team on your side, attaining and maintaining total home comfort is a breeze. For more information on how our heating, air conditioning and solar energy services can be beneficial for your Vista home, fill out our online form or call us at 858.900.3909 today!